All the effort was definitely worth it, it looks wonderful! This is beautiful!! Well worth the effort. WOW! This is stunning Katie! I love the colour palette you have used. This mini has such movement ! Very pretty. I'm with you on trying out a technique on something smaller than a full sized quilt! Well done. Lovely. Some of these pieces must be very small! I am a convert to paper piecing. 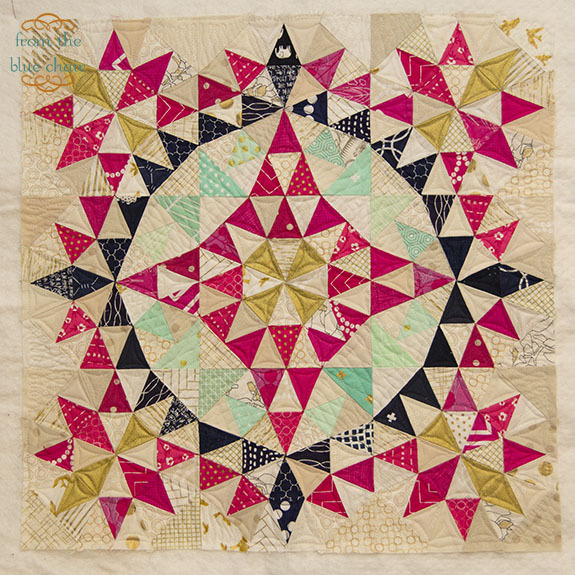 Love the precision and the use of scraps! this is absolutely stunning. great work! Thanks for the shout out! May I ask one favor? I've changed the name of my business to Quilterchick Designs and my last name is spelled Gieszler. Thanks! 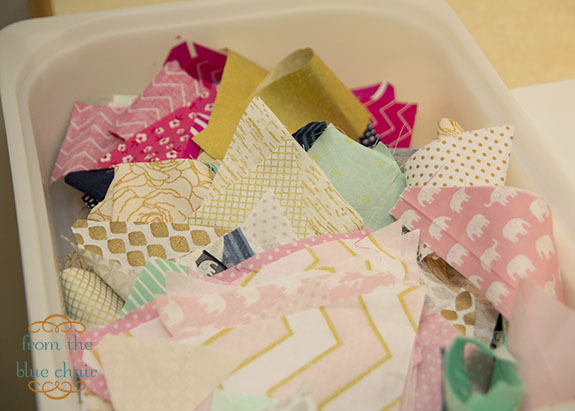 Love, love, love your quilt!